When the Revolution and Atlanta last met, it was not pretty for New England. The Revolution return home for the second-to-last time this season as they get set to host a red-hot Atlanta United squad Saturday. The Revolution looked threatening through the opening 10 minutes Wednesday until a tackle by Xavier Kouassi was ruled worthy of a red card by video assistant referee Jose Carlos Rivero and head referee Silviu Petrescu. What followed was a bevy of goals by Orlando, as the shorthanded Revolution pushed forward in a desperate attack. Now they face an opponent that recently handed them their worst loss in franchise history. 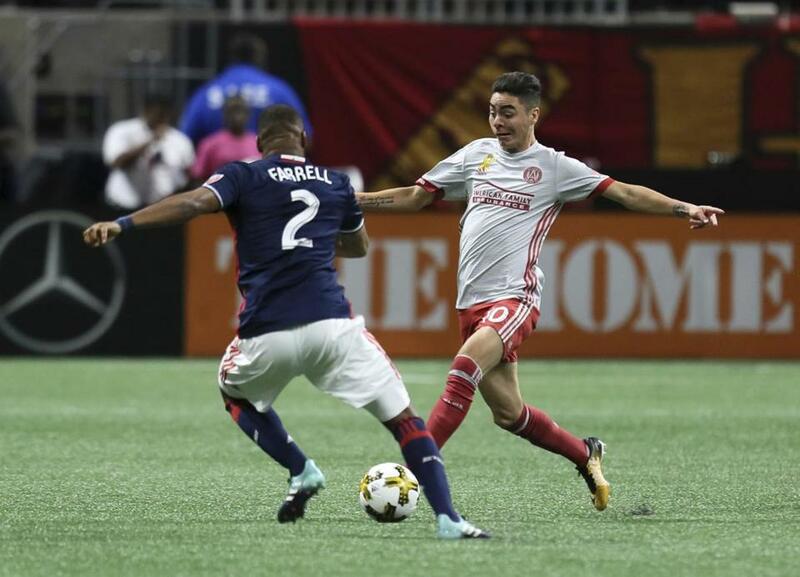 When the Revolution traveled to Atlanta on Sept. 13, they fell behind quickly and had two players sent off in the first half of what turned out to be a 7-0 drubbing. With that loss still fresh in their minds, they enter Saturday with one mission. “Our focus is just to win,” said midfielder Scott Caldwell. Atlanta, an expansion team, clinched a playoff berth Wednesday with its third straight shutout, a 3-0 victory over Philadelphia. It is the first MLS expansion team to make the playoffs in its first season since Seattle in 2009. Although it has been an up-and-down season for the Revolution, they could set a franchise record Saturday with their 12th home victory of the season, and tie the club record for consecutive home wins with seven. They also could have four players with eight goals for the first time. Kei Kamara (12), Lee Nguyen (11), and Juan Agudelo (8) have already reached the mark, with Teal Bunbury (7) close behind. It’s just the second time the Revolution have had three players with eight goals. Despite missing high-scoring Miguel Almiron (hamstring injury), Atlanta brings attacking threats of its own, including Josef Martinez, who seems to be scoring at will lately and has 18 goals on the season. ■ When, where: Saturday, 7:30 p.m., Gillette Stadium, Foxborough. ■ Coaches: Revolution — Tom Soehn; Atlanta — Gerardo Martino. ■ Formations: Revolution — 4-4-2; Atlanta — 4-2-3-1. ■ Goalkeepers: Revolution — Cody Cropper; Atlanta — Brad Guzan. ■ Out: Revolution — M Kelyn Rowe (knee), M Xavier Kouassi (red card); Atlanta — G Alec Kann (quadriceps), M Miguel Almiron (hamstring). ■ Miscellany: Atlanta has a shutout streak of 302 minutes . . . New England is looking to set a franchise record for home wins in a season with 12 . . . Atlanta has the fourth-best road record in MLS and is one of only three teams with a positive goal differential away from home.